04_ABOUT | Emmy Winning Composer for Television, Film, Commercials, Animation and Video Games. | Singular Original Music For Media. Explore tracks, videos and projects featuring Ron's work. A native of Chicago, Ron moved to LA after attending the acclaimed University Of North Texas music program. In time he became an in-demand session guitarist, recording with Smokey Robinson (One Heartbeat), Frank Sinatra (Duets, his second to last studio album), Dionne Warwick (Reservations For Two), Asia (Anthologia), Dolly Parton (misc. projects), David Cassidy (David Cassidy) and more. He also played on dozens of TV shows and commercials, including Quantum Leap, Highlander, Full House, Coca Cola, & Wrigley’s Winterfresh Gum. 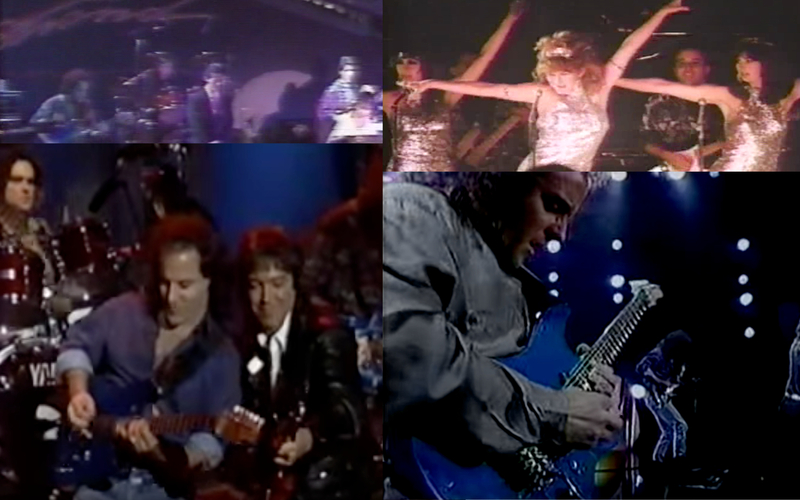 Komie performed live at the Grammys with Bette Midler, lit up The Arsenio Hall Show with David Cassidy, and toured the U.S. & Japan with Keiko Matsui. He began making the transition from studio guitarist to composing/producing for television, film and media in the early 90’s. Within a few years he was composing for shows like Guiding Light, Grace Under Fire, Hang Time, and USA High. Ron also composed most of the TV & radio ad music for Six Flags theme parks and Speedway convenience stores, along with a myriad of projects for traditional and boutique library companies. Over time, and with the help of strategic partnerships made along the way, Komie’s music has expanded exponentially into global markets, reality & cable TV, Internet advertising and more. Today, music licensing is at the core of his business focus. 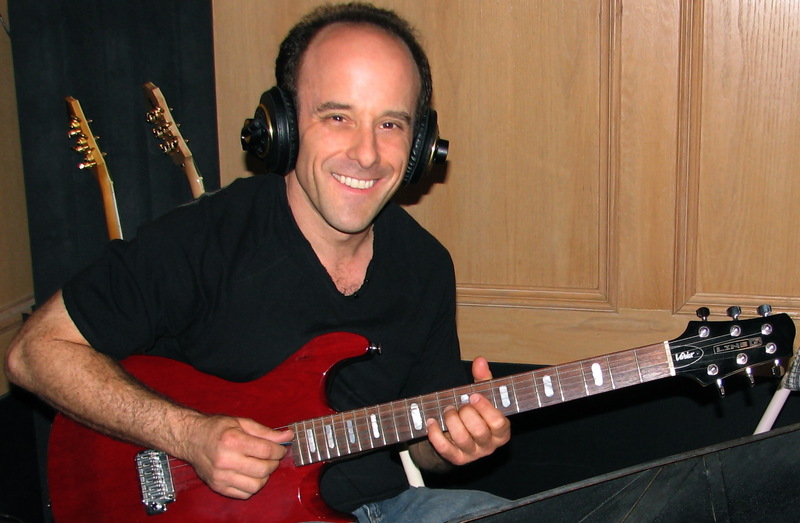 Ron continues to compose and produce for television series, music libraries and commercials; with an ever growing catalog of thousands of tracks licensed around the world. Diversity, originality and high production values continues to be Komie’s utmost objective. He plays electric, acoustic, and classical guitar; dobro, slide guitar, 8-string guitar, baritone guitar, mandolin, banjo, ukelele, bass, fretless bass, upright bass, piano, vocals, and percussion. 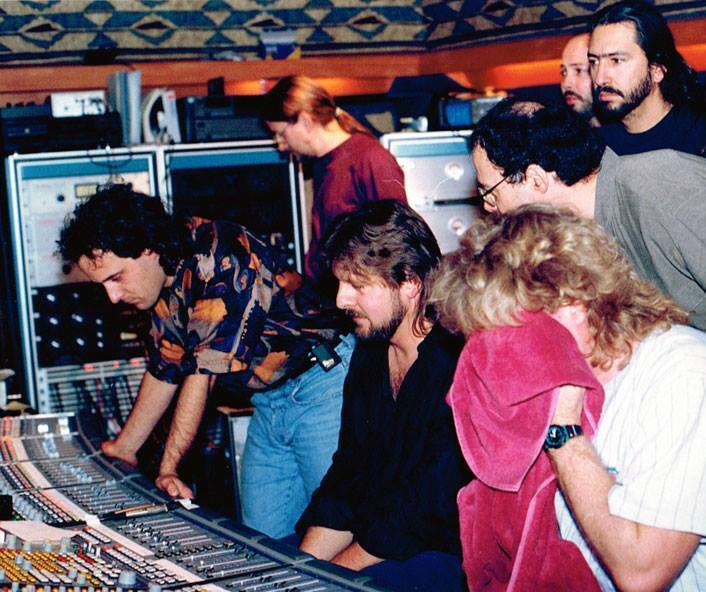 Ocean Way Studio A circa 1992 with (L-R) Ron (guitar), Jimmy Johnson (bass), Pat Coil (piano), John Robinson (drums), Bob Shepard (sax), John Beasley (synth), Luis Conte (percussion). Clair Marlo (producer). Tom Scott (sax) and Michael Boddicker (synth) were also on the session. Onstage with (L-R) Keiko Matsui, China Beach cast, David Cassidy (Paul Rodriguez Show), David Cassidy (Arsenio Hall Show).